To the person that doesn't understand this: Remember the story of the person that saw Jesus' face in a grilled cheese sandwich? Well, the joke here is that you can see a grilled cheese sandwich in Jesus' face. The father, the son, and the holy toast. I bet you could make a boat load off that Jesus if you put him up for auction on ebay. 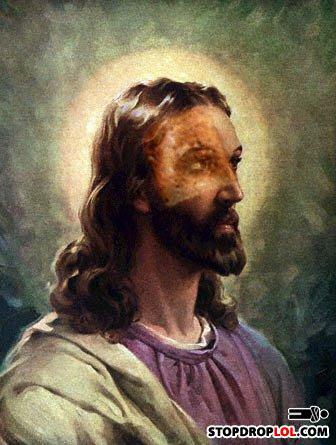 I mean how many Jesus' do you see with a grilled cheese on his face.